O wonder! How many goodly creatures are there here! How beauteous mankind is! O brave new world! That has such people in it! 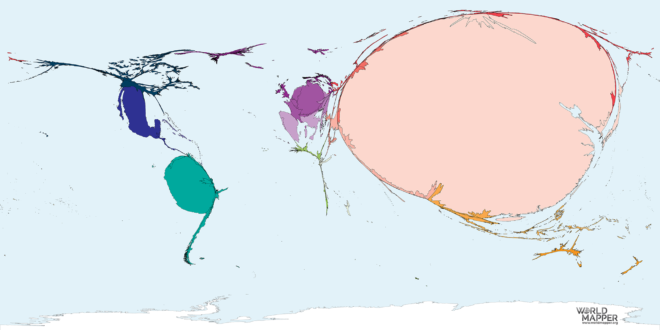 In 2011 world population estimates reached 7 billion; that is 7 thousand million. In 2018 it was estimated to have reached 7.6 billion. 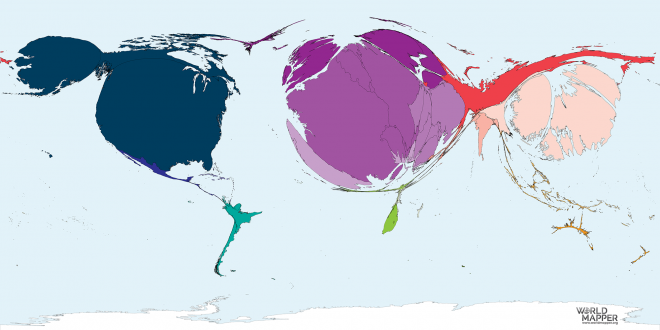 The distribution of the earth’s population in 2018 is shown in this map. 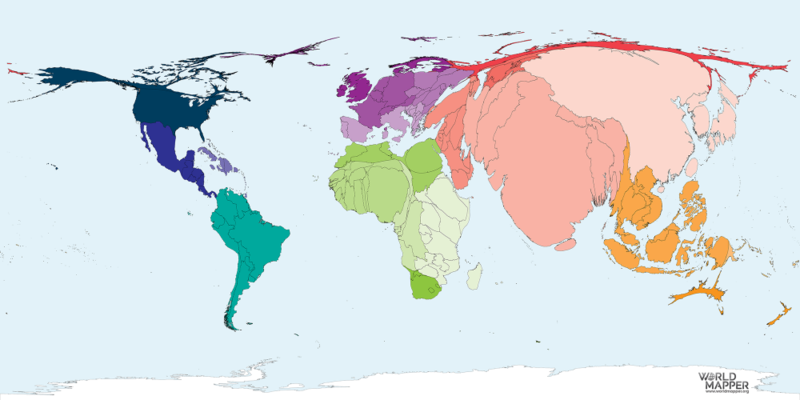 India, China and Japan appear large on the map because they have large populations. 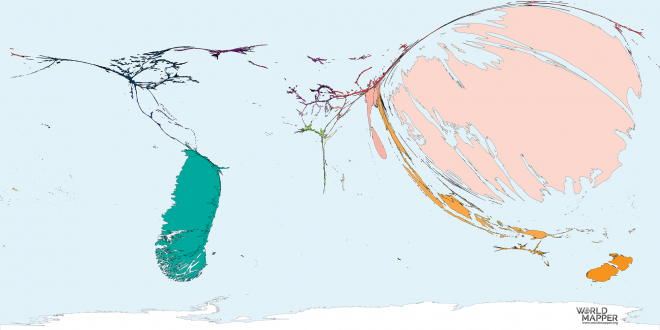 Panama, Namibia and Guinea-Bissau have small populations so are barely visible on the map. Note: Many of the maps’ subjects relate to people, so this map serves as a good reference map for comparison with many other maps. 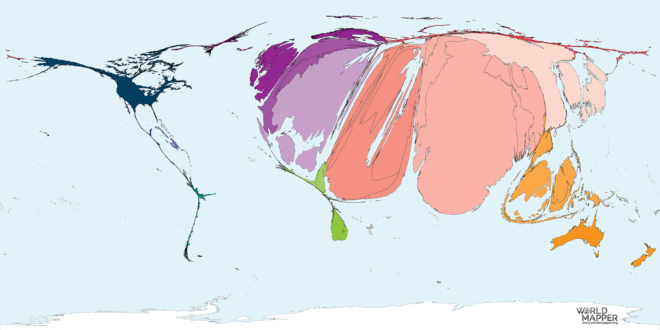 The size of each territory shows the relative proportion of the world’s population living there in 2018. This map uses data from the United World Population Prospects, 2017 Revision (last accessed March 2018).